Richard Spencer, UVA grad, and self proclaimed white nationalist, wrote about tonight’s events at the statue of Confederate Gen. Robert E. Lee. 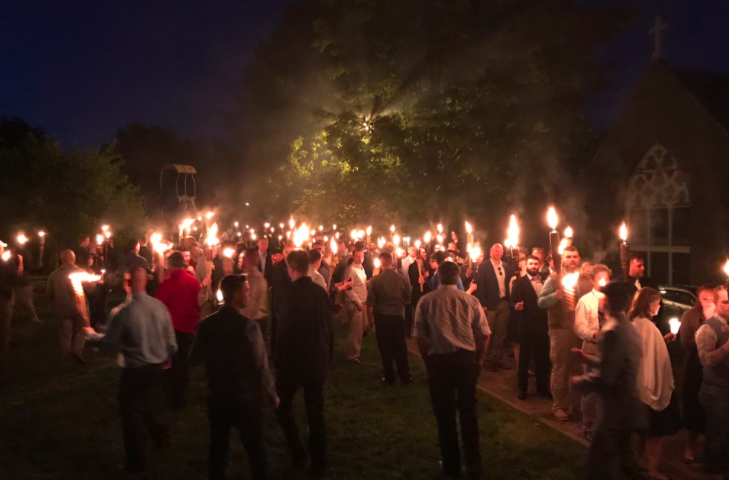 Twitter photos show him holding a torch in an unidentified location. This protest happened in the wake of the decision to to relocate the statue of Lee, after members of the community claimed it was culturally offensive and a symbol of white supremacy. Police arrived this evening following an altercation between protesters, and the crowd dispersed, according to reports.